Workforce management software is a combined set of processes that is utilized by various organizations to improve and streamline the productivity of their employees. With the aid of workforce management software, labor requirements can be forecasted effectively, and staff schedules can be successfully created and managed so that the work of an organization runs in an efficient manner. Workforce management software also helps the various companies to gain important information like the exact number of employees needed to successfully complete a given project or process in a fixed frame of time. This kind of software is also used to track the daily performance of the employees. The workforce management software comes under the ambit of human resource management and covers its various facets such as forecasting and budgeting, compliance, vacation and leave planning, staff scheduling, performance management of employees, payroll and benefits administration and various other functions. There are various benefits of using a workforce management software that include improving the efficiency of the employees, better planning of workforce requirement, a lower cost of operations and better service to the customers. Hence, workforce management software is used in various industries such as healthcare, retail, banking, insurance and many others. Employee management software is another tool that increases the efficiency and productivity of an organization. It is well established that employees are an excellent asset to the companies and they help the companies to remain competitive. Since managers presently are hard pressed for time and they must deal with lots of workloads, meetings and appointments, they are invariably not able to give time and attention to employees and give them encouragement and praise that they wholly deserve. 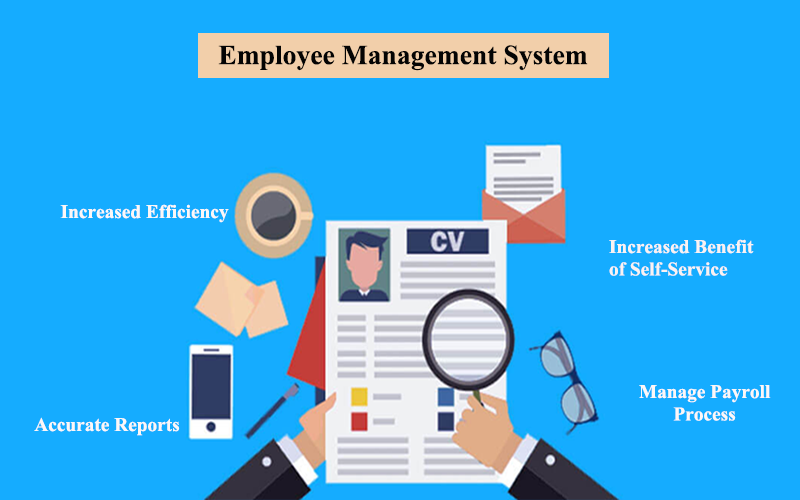 This is where the role of employee management software comes in and such type of software is used to record the information about the employees, their appraisals and information about bonuses and benefits provided as well. Such type of employee management software is user friendly and automates and makes simple the various functions coming under the ambit of human resource management. With the aid of employee management system, an organization can reduce the paperwork, helps in keeping track of time and attendance, helps in planning of shifts, etc. thereby helping in running the operations of a company in a smooth fashion. With the help of proper employee management software, the relationship between the managers and employees can be managed in a better fashion and employees can be motivated effectively. HR payroll software is used to maintain the key financial records of an employee in the form of their salaries, deductions, net pay and bonuses. This is a legal requirement all over the world and hence the payroll information of every employee needs to be properly recorded and managed. It is in this context the role of HR payroll software comes in. HR payroll software is used for various purposes such as for running the payroll operations in an efficient and timely manner and to increase the profitability of an organization. In addition, with the help of HR payroll software, the manual tasks can be automated and thus reducing the scope of mistakes in payroll operations and to increase the productivity of the staff. Thus, if you are looking for improving the profitability and efficiency of your organization by using such kind of software, then Eilisys is the one stop solution for all your needs. 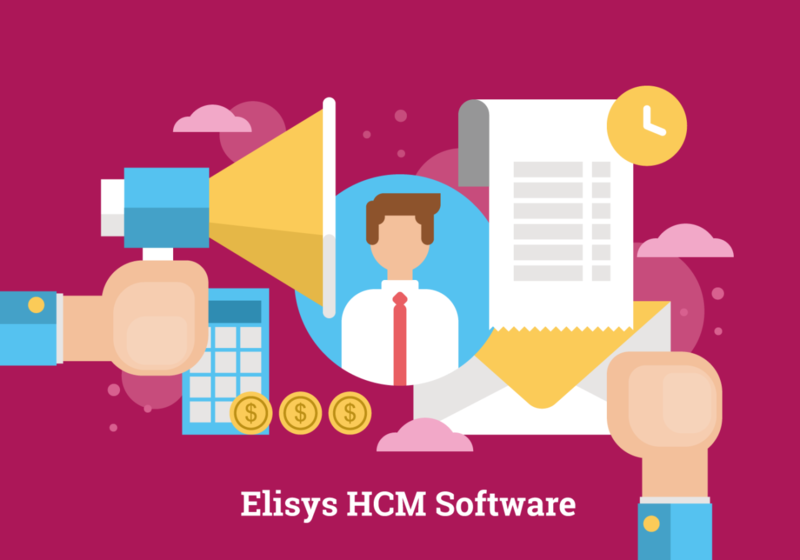 Eilisys provides you with high quality workforce management software, employee management software and HR payroll software. With the help of these software provided by Eilisys, you can take your organization to greater heights. 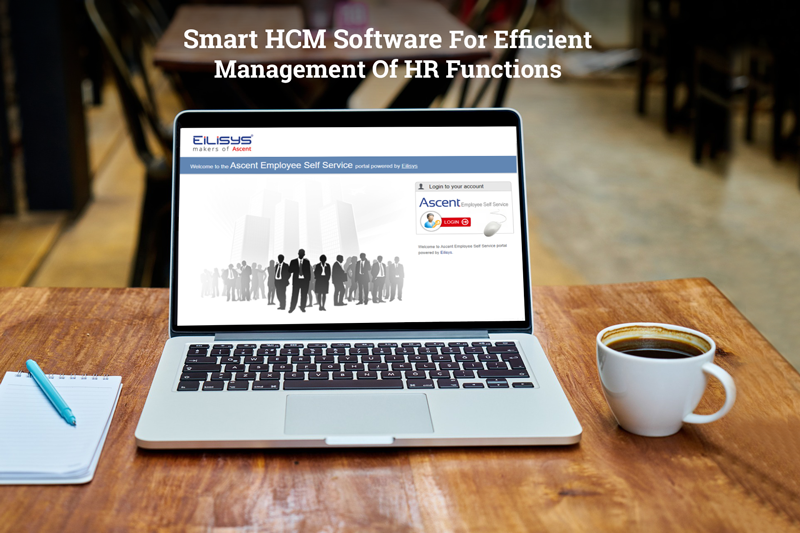 Eiilisys is providing various kinds of software in the domain of human resource management in the form of workforce management software, employee management software and HR payroll software. With the aid of such kind of software, the functions of HR can be automated, decreasing the scope of mistakes and increase the productivity of employees, thereby leading to increased profits. Being stuck with the conventional employee attendance tracking techniques could incur you unrealized expenses, and moreover, could compel you to live with the inaccuracies resulting out of manual errors. 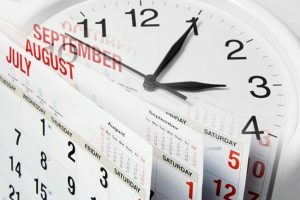 Perhaps, while the conventional techniques have worked all through these years, with technology disrupting most of the manually intervened processes, and transforming into an imperative requirement, a technology-based solution to managing employee time tracking would soon find a place within your HR systems. 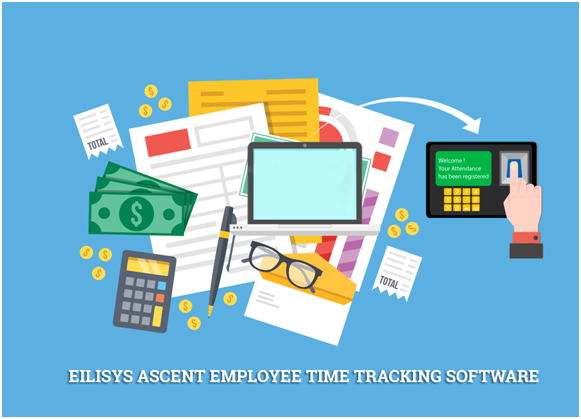 Eilisys’s Ascent Employee Time Tracking Software is a comprehensive solution to all your time tracking needs, thus relieving you out of the hassles of maintaining an exclusive workforce to document employee movements and live with challenges such as inaccuracies, delays, etc. This blog would interest business owners who are looking forward to deploying sensible HR management software. Employee attendance management is something that impacts multiple verticals at the same time. It is a major area of concern for the human resources and the accounts department from the viewpoint of managing exceptions, managing on-duty approvals, managing overtime, tracking employee movements, measure employee punctuality, and above all computing payroll in an accurate and timely manner. Lately, despite the advancements of technology and the benefits it continues to bring on the table, a lot of business owners, even today, rely on manual documentation and tracking techniques. While some realize the hassles of living with it, some are resistant towards changes and reluctant towards inducting technology within their work processes. Here, business owners must understand the fact that technology is the only long-term solution to every business process in the modern context, and hence, getting an employee time tracking software on-board proves to be a prudent choice! It facilitates attendance tracking in multiple ways including biometrics, swipe cards, RFID, web punch, fingerprints, etc. based on the client’s preference and requirement. Let us now discuss some of the tangible benefits reaped out of the Ascent’s HR management software. Ascent Employee Time Tracking Software offers various functionalities across different dimensions of employee attendance and leave management. Compliance management through reports such as muster rolls, leave cards, overtime, audit registers, form 20, integrating labour laws through the application of overtime policies, etc. Facilitating exception regularization through on-duty or punch regularization application, managing attendance exceptions such as missed punch, absenteeism, late-in, early-out, shift variations, integrating the organization’s internal deduction policies for attendance exceptions, sending automated emails to employees and managers for proposed salary or leave deductions owing to attendance exceptions. Extra-time management through overtime configuration and eradicating revenue leaks by integrating the organization’s pre-approved overtime plan in the system. Enables supervisors and managers to schedule shifts along with work flow based approval process. The system also provides configurable template for employees following a specific pattern of working. Business owners, HR administrators, and the finance team can generate more than 30 comprehensive reports in multiple formats. Payroll management is one of the fundamental functions of any HR department. To generate efficiency in bigger firms with huge workforces, HR payroll software suites were developed. These offer to streamline the routine operations relating to salary and other benefits for the employees. Lately, we find the development and acceptance of HCM software which are oriented towards the broader management of the human capital in any enterprise. The concept of human resource management has wider connotations and the objective is to ensure the optimized productive value of the HR. This obviously maximizes the profit of the company. In the yester century, workers were considered merely as the means to produce goods. Now they are considered as the assets of the company. Responding to the calls of human-relations and behaviour a list thinkers, greater benefits were offered to the workers and the scope of functions of HR departments grew. The modern HR management software suites are being developed while considering all the functions of desirability. Automation of employee management is one of the attempted objectives in any HR software. The salary payout is a monthly cycle and needs to be repeated by the HR department in favour of every employee. The software allows the managers to leverage smart automation of the compensation policy for every employee separately. This is achieved through the account based system that is executed through the HR software. Based on the working hours and attendance and leaves, the salary is calculated for each employee. The core task is however performed by the software functions that capture the employee work metrics in a consistent and fail-proof manner. By making use of the smart attendance systems and account based biometric login channels, the software generates the dynamic record for every worker. This record is used for the salary slip development. Thus the core tasks have been greatly simplified through HR payroll software. Similar to the smart automation in payroll development, the customized HCM software allows more functionalities. Making use of the web and associated frontline technology, we today find the integration of mobile app that can be accessed by every registered employee with valid credentials anytime on the go. These apps replicate the account based information in a secure manner such that the employee can make inputs actively through functionalities like mailing to HR service desk, messaging and others. A dynamic interface is thus developed and a seeking worker can reach out to the managers like for getting leave extension or any other request. From the above discussed simplification of the HR functions and the ease derived through it, there is also a core benefit ensured! The cause of employee satisfaction which appears a distant dream for the company management is helped significantly when there is a dynamic interfacing available every time through the customized HR management software. Many functions that are otherwise difficult have been rendered easy and this eliminates the delays and dissatisfaction. A happy employee matrix remains committed to the organization goals that are achieved easily and hence better overall performance! Payroll, with the complexity of the involved process and to top it up, the imperative compliance part, requires a team of professionals that are thorough with the micro as well as macro aspects of payroll management. However, that’s with the quality part. But when it comes to handling volumes, even the best of the best teams require a technology helping-hand managing the nitty-gritty and the important calculations part, along with managing the compliance one! So, here’s your solution! 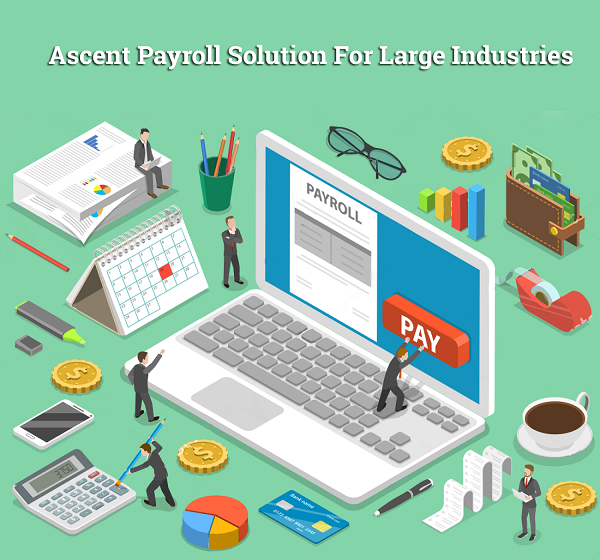 Yes, ascent payroll management software, your multi-dimensional and end-to-end partner offering the best payroll software services, right from calculating the pay, income tax, to managing statutory compliance, and handling various forms. Manual payroll management, in the modern context, is certainly not a wise idea. For business owners,who even today rely upon and do it the manual way, it’s time to empathize with the employees, and realize the hardships and challenges they face while dealing with the payroll of the company! It consumes a lot of time, and besides, any inaccuracies owing to human errors would have them reprimanded, let alone the loss of reputation that would come in the limelight.Moreover, flaws in the payroll systems could eventually lead to employee dissatisfaction, inviting unnecessary concerns. The key here is to utilize technology to the benefit of the organization, by employing prudent payroll software systems that would manage the entire payroll gamut with efficiency and precision. Ascent’s payroll management software in India is one of its kind benefiting different departments. Here are some of the benefits reaped by the finance and the HR department, and on the statutory compliance front. Finance: Online claim based CTC reimbursement, tracking advances and loans, auto calculation of TDS, auto NEFT file and bank upload file in the banker’s format, simple integration with the existing financial accounting and ERP system, parameter-based salary JV and income tax calculation, configuring own dimensions for salary JV, previous month variation reports, audit trails for earning/deduction and for employee master data amendments, etc. Human Resources: Salary management, salary revisions, investment declarations, attendance management and summary, recording employee history, arrears calculation, leave regularization, comprehensive reports for salary and employee master data into various formats like text, PDF, Excel, etc. bank FnF statement along with provisional form 16 on the same day, utility import for information pertaining to the newly joined employees, user-defined formula for every deduction/earning and many more. Statutory Compliance: ESIC statement and online challan, professional tax statement, provident fund reconciliation statement, provident fund challan, form 5, 9, 10, 3A, 6A, 12A, online return profession tax return and challan, form 16, eTDS returns 24Q, Income tax ITNS 281 challan, etc. Of course, software’s operational efficiency certainly adds to its importance and practical application. However, what’s equally, or perhaps, is slightly more critical is the statutory compliance part. 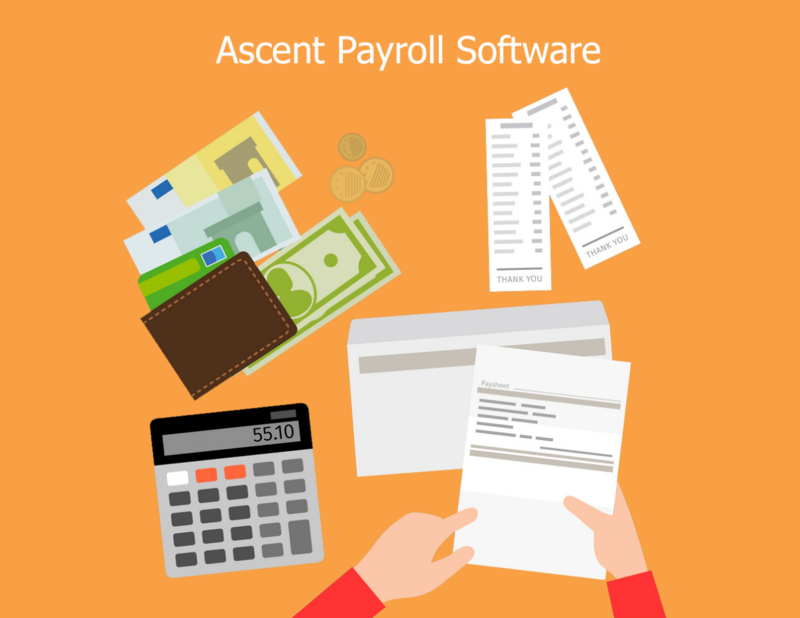 Ascent’s payroll software system is fully proficient in handling the compliance part, thus relieving the business owner and the payroll administrators out of the confrontations of managing the payroll operations and at the same time ensure compliance. Contact us and get to know more about our software or request a demo for by clicking on the REQUEST A DEMO tab and be prepared to witness the wonders technology can do you to your business! Monitoring human resources is of critical concern. As the owner of your enterprise, you will realize the importance of human resources management. You will also have your focus on enhancing the productivity, and for that again, it is necessary to keep a constant check on the potential and performance of each and every employee. The question that arises next is how you handle these logistics. If you have to manually monitor these processes, you will end up wasting quite a bit of your precious time. In that event, the best option is to use a software-centric approach. Now that you have the support and service of the hrms software, you can minimize the wastage of time. At the same time, you can get the results that you are looking for because this option seeks to maximize productivity. The objective of this software-centric procedure is to maximize outcome. You will like to know, how the processes are undertaken. Your employees are your assets, and the software classifies them as valuable assets. Secondly, it has a quantifiable procedure with which to measure the value of each and every employee. Based on both these aspects, it makes recommendations, and you can make use of the suggestions to optimize the skill level and performance of people working under you. Consequently, as an owner of the enterprise, you know exactly where each and every person stands and how each is contributing to the cause of the profitability. The hrms software, in this way, gives a new direction to your organization. It is not only useful for record maintenance but also for quantifying and classifying the ability of employees. You can use the hrms software to increase and accentuate the current value of your business. The software gives a precise indication regarding employees’ potential and their respective talents. So, you come to know how to channelize the resources, in a proper way. You can manage talents resourcefully with the inputs provided by the application. So, if you have an investment to make, you can crosscheck the data, and find out, if the move will turn out to be profitable, in the long run. Managing talents and human resources are as important as managing the payroll. The process of payroll management is ridden with complexities. If you have to manage it manually, you will have to be particular about the tax deductions, reimbursement needs and the other related modalities. It doesn’t need to be said that the manual handling is time-taking and labour intensive. You can make the process less taxing and time taking by installing payroll software. The fact that the application has a tax calculator also proves to be advantageous. You can accomplish your objective, in a jiffy, by clicking and inputting the necessary facts and figures. The software-oriented approach not only minimizes the wastage of time but also makes the processes more effective, flexible and versatile than before. Even if you are not aware of the operational dynamics of these measures, you can learn the same from the customer care team. The professionally competent team not only plays an active part in the installation but also acquaints you with modes and manners of application. As a result, you come to know how to use these software applications for enhancing productivity and outcomes. The management of error-free payroll system is a big task for any business owner. No matter how many employees you have in your company you just need to have a clean and accurate record of their payment and other HR related details so that you can keep yourself safe from any legal hazards in future. When you have a small business with a few numbers of people then you may manage the payment schedule and other HR matters on your own. Or else some of your employee can perform the task every month. However, when the number of employees enhances then it may not seem that easy. In such cases, the use of advanced payroll processing software becomes mandatory to track the record in a perfect manner. You can create an accurate report of the payroll process of your employees with the help of this software. The matter will become easier than before when you use the advanced system. No matter how efficiently you have done the job the chances of making mistakes are very high when you do the entire job manually. On the other hand, when you use the software then the rate of errors becomes nil. The software is able to offer you accurate report about the payroll process irrespective of the number of your employees. When the payment report becomes error-free then you can calculate the other transactions easily. You can understand your earning and expenditure in business accurately too. The advanced software will help you in performing the other HR related jobs as well. You can keep track of the payment of Provident Fund, Employee Insurance, Pension, Income Tax and others with the help of this advanced system. You can have the monthly record of individual employee’s payment detail. The software will calculate the leave and holidays of the employees to calculate the payment. Thus, the entire record is well maintained through the latest hr management software. The software helps you to save a significant amount of time. It keeps the daily records of the payment schedule of the employees of your company and prepares the final report at the end of the month. That means you do not need to spend several hours every month to calculate the monthly payment of your workers. You just need to install the software and let it do the entire calculation throughout the month. At the end of the month you can get the report in your hand. You can make your business flawless with the help of this software. Maintaining the payroll process of the employees is a tough matter for any business owner. When you get something helpful to manage the same then it seems much easier than before to run the business. However, it is important to have the most efficient one that has all the latest features. Otherwise, you may not get the benefits of having the software and need to face the stress even after installing the same.